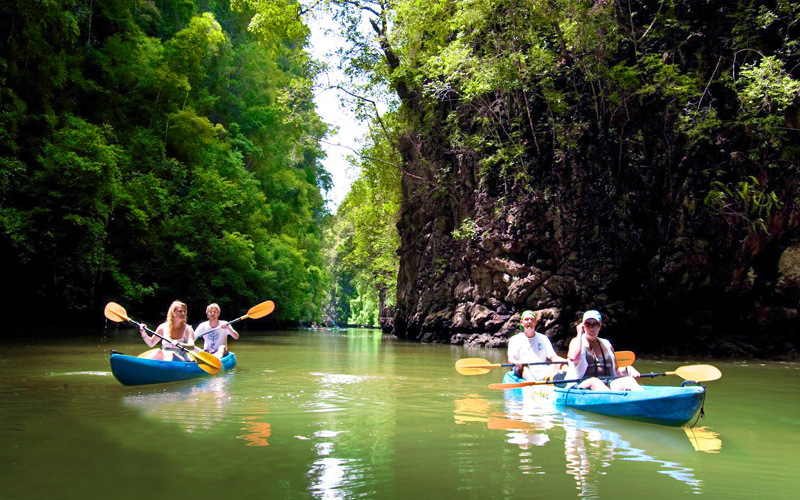 Ao Thalane : Mangrove Kayaking , Exploring the Limestone Cave And Canyon. 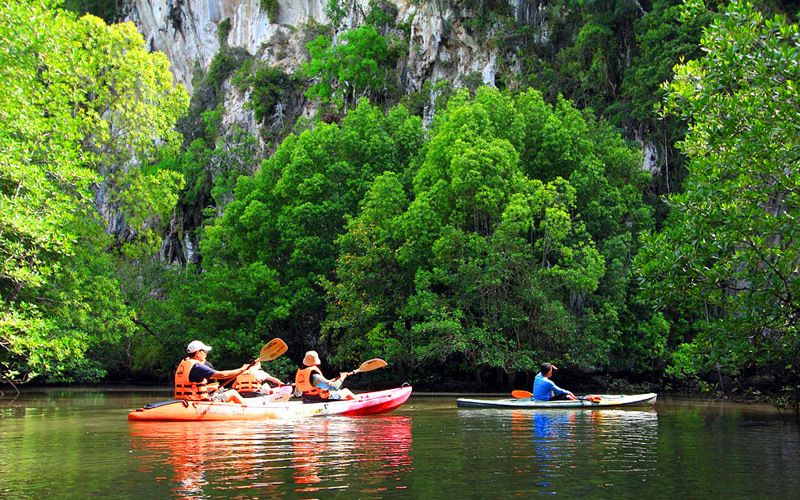 Thalane Bay is dubbed as one of the most beautiful mangrove forests in Thailand. 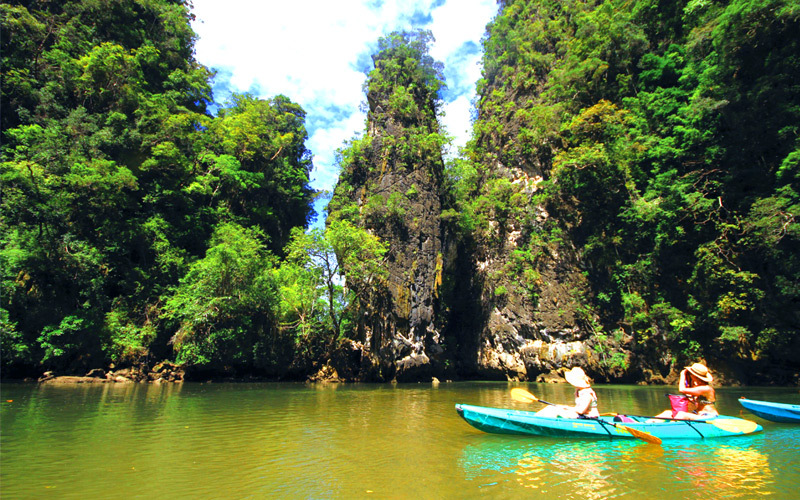 The bay was sheltered by columns of magnificent limestone canyons and the lagoons inside. Due to its pristine ecosystem and unspoiled conditions. 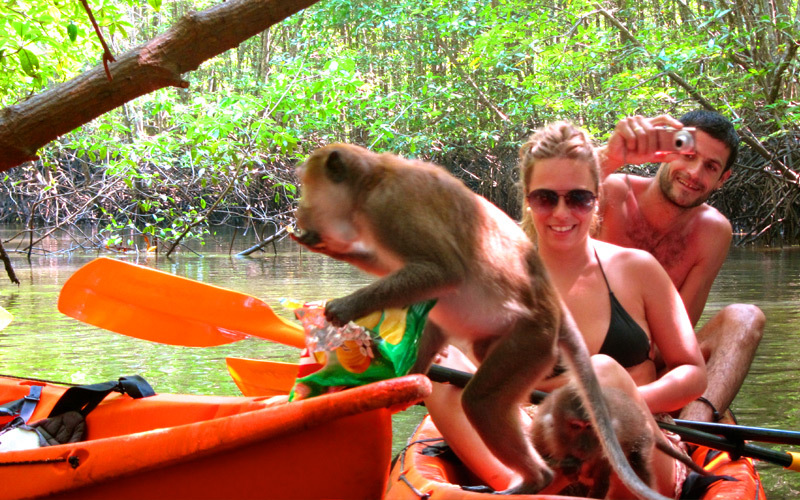 Kayaking is always a favorite marine sport. 2.Full day Ao-thalane & Elephant Trekking. 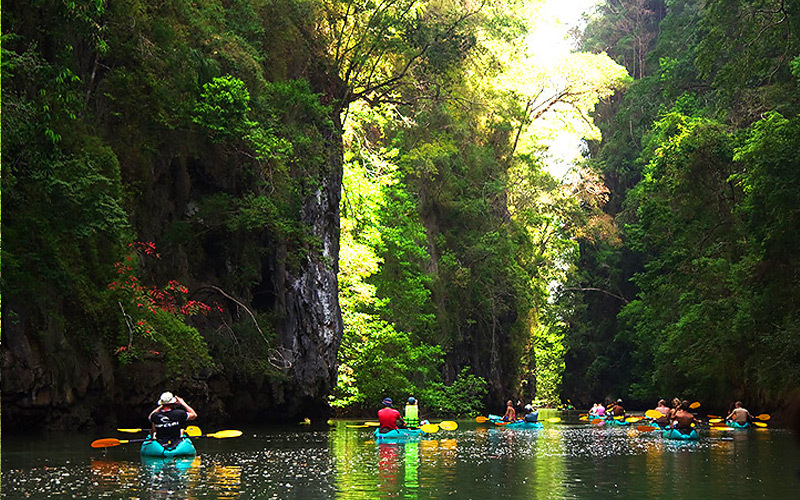 Ao Thalane : Famous location for Kayaking at Krabi and there is the bay cover by large and small canyons, lime stones cave and lagoon, all combined in mangrove forest. When low tide, sand bank is will be there, Of course if the nature is complete like that, many kind of animal can rest there, for example fishes, starfishes, crabs, monkeys, rare birds and other animals.